Many sunless tanning products and self-tanners leave an unattractive “orange” finish. You don’t have to worry about that with Selfie® Tan n Go Sunless products. You’ll get a golden, sun-kissed glow, nothing more and nothing less. Kiss the orange tones goodbye and experience a luxurious home-tanning experience with perfect color that you can control. The range Selfie® collection of wash-off and self-tanners contain salon-tested, perfect coverage sunless tanning ingredients combined with precisely balanced skin nutrients. They are formulated with a patented odor reducing fragrance technology that gives you a beautiful, healthy tan with no self-tanner smell. You get fast results, as your tan will gradually deepen during the next several hours. Just apply, get dressed, and show off your new, healthy, sun-kissed, bronze tan. Selfie products dry quickly so that they won’t rub off on or stain clothing or sheets. If you have any questions or would like more information about the Selfie products we carry, please contact WCB Customer Service or your Sales Representative at WCB. Selfie Night Tan Overnight Sunless LotionDream about the soothing sounds of the waves and the sun shining down upon you and let Selfie® Night Tan® bring you there without ever stepping foot onto sand. This overnight tanning lotion hydrates, plumps, and tans while you sleep. This salon proven formula allows you to achieve the perfect beach bronze glow after just one use. 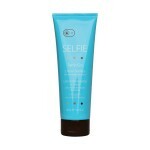 Best of all, the overnight..
Selfie Tan'n Go 2 Hour Sunless LotionGet the golden tan you've always wanted with Selfie® 2 Hour Sunless Lotion with Immediate Bronzer. Get a natural sun-kissed golden tan in as little as two hours. Enriched with vitamins A, C, and E to hydrate and nourish your skin, our 2 Hour Sunless Lotion does more than give you a coveted tan. With rich Gotu Kola and green tea, this self-tanner gives you a na..
Selfie Tan'n Go Gradual TannerSelfie® Gradual Tanner with 24-Hour Moisturizers replaces your daily moisturizer while giving you just the hint of a golden, sun-kissed glow with each use. Infused with Green Tea, Gotu Kola and vitamins A, C and E, Gradual Tanner delivers 24-hour hydration for healthy, radiant skin all day long. Our exclusive fragrance technology eliminates the tell-tale self-tan ar..